ANN ARBOR, January 23, 2018 – Peers Health is proud to sponsor a two-year research project with the University of Michigan that will apply advanced learning technologies to a proprietary global database of millions of de-identified disability and workers’ compensation cases. The goals of the project include developing a prescriptive modeling framework to facilitate development of optimal return-to-work plans for injured or ill patients. The principal investigators in the project, Dr. Brian Denton and Dr. Jenna Wiens, are both renowned experts in medical machine learning. Dr. Denton, a professor of Industrial and Operations Engineering and of Urology, and Dr. Wiens, an assistant professor of Computer Science and Engineering, are both part of the Michigan Institute for Data Science (MIDAS) at U-M.
"The collaboration with Peers Health is exciting because it provides data that can help build a model that will reduce the time — from both a safety and productivity perspective — for people to return to work following sickness or injury," Denton said. "Streaming data in from existing patients will allow our model to adapt and improve over time." Wiens added: “These data contain a particularly interesting training label: days away from work. We hypothesize that this will be a strong signal for the type, timing, and effectiveness of the treatments and therapies." “This partnership illustrates the power of combining data from the healthcare industry with the data science expertise of U-M faculty," said Dr. Alfred Hero, professor of Engineering and co-director of MIDAS. “It is energizing for the BEC to be part of these innovative collaborative relationships that create real impact in the world," added BEC Director Amy Klinke. Peers Health (www.peershealth.com), based in Chicago and Denver, helps population health stakeholders excel in case management and clinical delivery to get people back to work — and health — faster. The founders, with combined experience in healthcare of over 60 years, have built solid relationships and helped operationalize solutions with many of the world’s largest hospital systems, insurance companies, third-party administrators, employers, governments, and software providers. 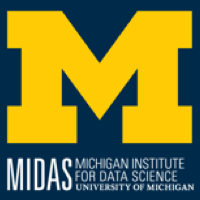 The Michigan Institute for Data Science (MIDAS) catalyzes data science at the University of Michigan through support for faculty, research, education and training, and industry engagement. MIDAS is part of the University’s $100 million Data Science Initiative, and has more than 200 affiliated faculty. See midas.umich.edu for more.